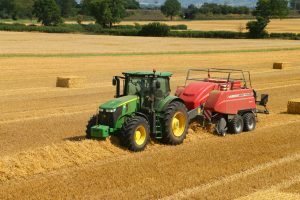 Baling with MF2290 Square Baler producing 6 string 4 x 4 bales. Baling with MF2170 Square Baler producing 6 string 4 x 3 bales. 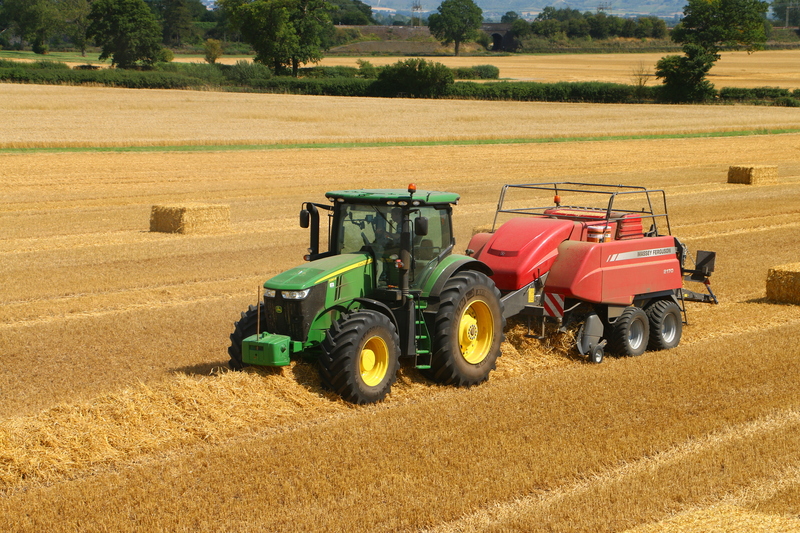 Two Heath Super Chaser Extra bale chasers, carrying 12 (4×4) or 16 (4×3) bales. 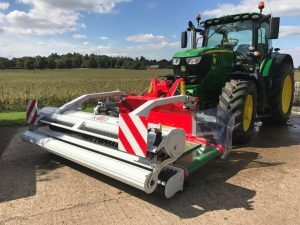 Reiter Respiro R3 front mounted straw turner. Up to 5 high speed, air-braked trailers with LGP tyres for carting and delivering straw. Manitou and JCB Telehandlers with bale grab or spike attachments.